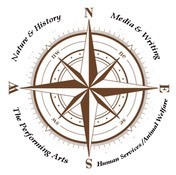 Nature & History: these groups seek to advance land conservation and to bring a deeper understanding of history, heritage, and historic preservation—especially by targeting students and the general public so that they may enjoy the diverse cultural assests within our Atlantic communities. Media, Writing, and Journalism: the organizations in this arena share a common goal of assuring a flourishing and appreciative media and literart arts community. The Performing Arts: this category of beneficiaries deliver live performances of music on PEI and/or provide training and performance opportunities for a new generation of performance artists, such as classical musicians or actors/actresses. Human Services: organizations that enable new immigrants to Atlantic Canada to adapt to their new homes and to become fully engaged citizens; other organizations in this category include groups that advance intercultural understanding, cooperation, and world peace. Animal Welfare: organizations in this group seek to advance veterinary medicine and care for animals; others help to reunite lost animals with their owners or help to secure safe and loving homes for pets who have been abandoned or rescued from abusive situations.